How many Saturday’s do we have left? Truth is, none of us know. My mom died 5 years ago, she was 75. If I followed her trajectory, I would only have about 1,000 Saturday’s left. Life is finite. Each day is a present, be present for it. 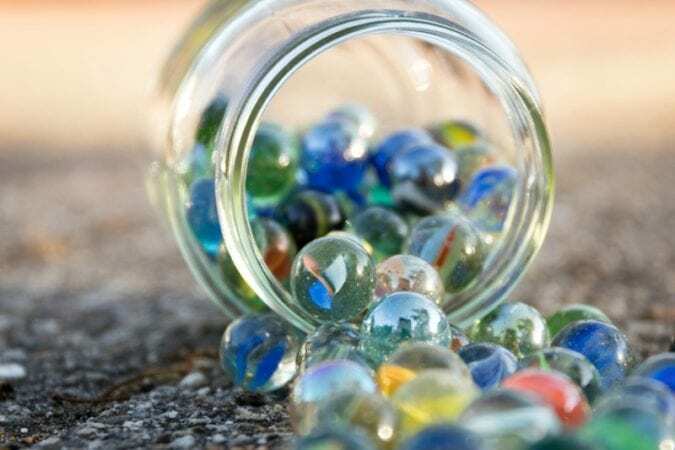 I have a giant clear jar that I’ve filled with 1,000 marbles. Every Saturday I take a marble out, it’s a nice reminder that I am choosing how to spend my time. In her 2015 book The Sweet Spot, Christine Carter reports that when people make a specific plan for what they’d like to do or change, they do better than 74 percent of people who don’t make a specific plan for the same task. Carter inspired me to commit to my Sunday Meeting Self-Care Plan. Every Sunday I sit down and plan the week ahead. First, in red I write down my commitments- meetings- obligations that are set in stone. Next, in blue I intentionally I block out at least 3 spaces in my calendar (pockets of 1 hour with no commitments). And finally I plan at least one fun activity (in orange). If I don’t do this, my time simply gets fettered away with other people’s requests and endless work. My planner has a section designated for: Take Time Out for Fun Things to Do. At first, planning for fun was a bit daunting, (sad, but true) but it really depends on your definition of fun. My daughter, who is a first-grade teacher and high energy companion, and I can turn a trip to Trader Joe’s Grocery Store into an adventure. Sometimes we take a walk before, often we might stop for a beverage afterwards, but we have found a way to transform the monotony of grocery shopping from a task to an outing that we look forward to. 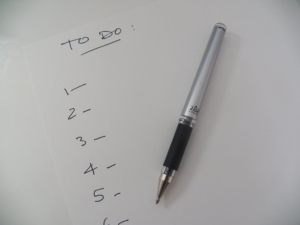 It’s made me realize, we can be more focused on checking off our to-do lists than actually completing or enjoying a task. We might feel accomplished if we complete the tasks quickly, but there is a huge difference between feeling accomplished and being happy. Accomplishment provides a fleeting feeling of relief; happiness requires no end product to prove our worth. What do I do with the places I write “SPACE”. Lately I’ve been reading more. So, what am I reading right now? 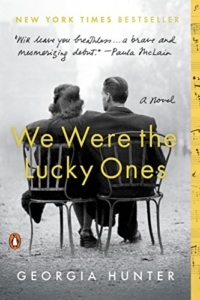 I try to read just one fiction book at a time and I just finished We Were The Lucky Ones. It’s inspired by the incredible true story of one Jewish family separated at the start of World War II, determined to survive—and to reunite. I finished it, and am still thinking about it, a sign of a good book. 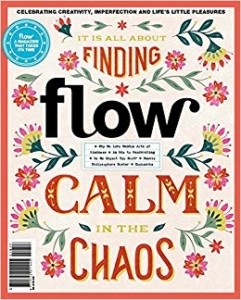 I discovered a great new magazine- Flow that actually promotes taking time, celebrating creativity, imperfection, and life’s little pleasures. Now, non-fiction, that’s another story, my Kindle is exploding. 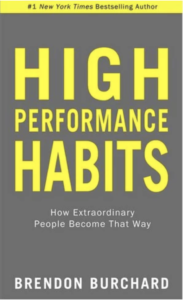 However, I seem to have multiple hard copies of High Performance Habits by Brendan Burchard. It retails for $19.95, but the if you sign up for the retreat I’ll have one waiting in your room as part of your welcome gift. Disclaimer- This is my personal blog. The opinions and reflections I express do not necessarily represent those of my employer, West Chester University of Pennsylvania.